Silves has officially presented a new brand to promote its deliciously juicy and unique oranges. Entitled ‘Silves Capital da Laranja’ (Silves Orange Capital), it will be used to put a name and an image to what many consider to be Portugal’s best oranges. For example, the new label (featuring an orange with an image of Silves castle walls) will be used as a sticker to go on fruit, allowing buyers to easily pick the best oranges out from the ‘crowd’. Local producers are all invited to associate their harvests to the new brand. Hopes are that the joint efforts from farmers, sellers and the council will ensure Silves lives up to its new name. The project is “extremely important” for a municipality that has a significant part of its population (2,200) and land (6,000ha) dedicated to orange production – said to be a “multi-million euro industry”. “Oranges are one of the most important agricultural products of Silves,” said mayoress Rosa Palma, presenting the initiative at Silves Castle on Saturday (April 8). “When you taste our oranges, you can taste the difference. We needed to promote that difference,” she told Barlavento newspaper. She explained that several varieties of citrus fruits are produced in Silves, such as “Baía, Newhall and Valência Late oranges” as well as clementines. The project will also feature a series of other orange-related initiatives, such as ‘sunset’ parties at the castle, “orange-flavoured gastronomic weekends”, orange-related sports events and even an orange producers forum. One of the first events dedicated “exclusively to oranges” is also promised for November, said Palma. José Oliveira, president of Cacial (a cooperative of Algarve orange producers), says producers are very excited about the news. 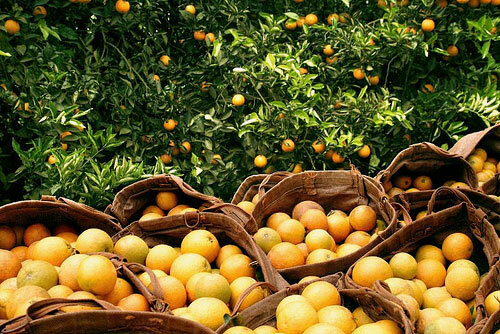 “Anything that will value the Algarve’s oranges is much-appreciated. Silves is a quality orange producer and it makes sense to focus on promoting the fruit,” he explained. Also attending the presentation was the region’s agriculture and fishing boss, Fernando Severino, who dubbed the project “extremely important. “This fruit has not been talked about as much as it should,” he told Barlavento, commending Silves council for finally taking a step forward to resume the promotion of the oranges, which he stressed was a multi-million euro industry. In Silves alone, he says that the orange industry can be worth around €25 million. I agree, really nice and tastful “laranjas”!